This week was also a hard game for the Comets, being beaten by quite a large margin by the Whangaparaoa Breakers. Again, it was the first week of the term, so it is good to know that the only way is up! The Comets have no subs this term, so it really is going to be a battle of the fittest, however I know that last term’s champion team will rise to the challenge and give it everything they have got to pull themselves back into the game. Player of the Day this week was Ben Oliver. Well done, Ben! This week was a hard game for the Asteroids. Although it was only our first week, we were a player short, and needed a substitute, thanks goes to Rosa Clark, for stepping in. Sadly we were outplayed by Stanmore Bay- a team that had played together for a long time, were very tall and very fast. This is the first time the Asteroids have played together, and so it will take us a while to learn to play together well and look for each other’s strengths. Player of the Day this week was Annie Duncan, who looked for gaps, called out for the ball and made an effort to pop up wherever she was needed. Well done, Annie. The Rockets had a loss this week due to an own goal however everyone had a good start to the new term. Despite having her fingers in splints, Amy Akehurst managed to play and scored some goals. Ben Rist was the Player of the Day this week for making a super effort in all areas during the whole game. Well done, Ben! From the 22nd – 24th September, 48 teams aged 12 and under took part in the Olympic Hopefuls Tournament at the National Aquatic and Millennium Centres in Albany. 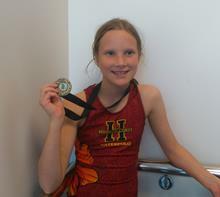 Five Wentworth students were amongst the players, as part of the Hibiscus Coast Water polo Squads. Matthew Brabant, Poppy Sancto-Jones, Bridie Smith, Rory Brabant and Charlotte Sancto-Jones were all involved in three days of tough matches against experienced teams. Both Matthew and Rory attacked relentlessly, scoring goals for their respective teams; Poppy was a force to be reckoned with, defeating players much bigger than herself. Congratulations to all our Wentworth Water polo players for displaying superb skills and sportsmanship during the last U-12 tournament of the year. Charlotte and Bridie were invaluable for their strength, determination and passing accuracy. The Hibiscus Coast teams did not manage to place in their divisions. Although Bridie’s squad won most of its matches and was unlucky not to have come in the top three. 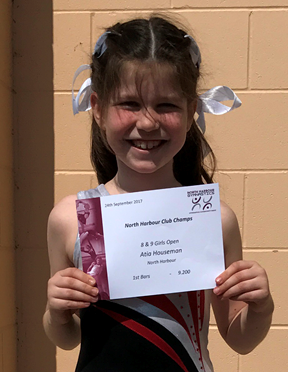 Congratulations to Atia Houseman who competed at the North Harbour Gymnastics Club Championships on Sunday and placed 1st on bars for Level 1 Open Girls 8&9 year olds. Congratulations to Thomas Rensen who received a trophy for the top student in his drama class for the term with the Peaches & Pickles performing Art class. Well done,Thomas! Wow, Comets! 8 undefeated games have zoomed the Comets into a place in the grand finals, which has left the whole team buzzing with excitement!!! This week was another cracker of a game, with the whole team being given Players of the Day. Next week’s FINAL is an early one, at 3.40pm against Stanmore Bay. Go, Comets!! All support is welcome if you are able to come down and cheer on our Comets team from the sideline on. This week was a bit of a rough game for the Rockets. They fought a hard, close game against the Swish, and it really was tough (and a bit confusing) as we had three Wentworth Players playing for the opposition! The final score was 4-3. Once again, Wentworth players were reminded to pass the ball to players who are better positioned than they are. This will also help to avoid the opposition getting our players stuck in a corner bouncing the ball! Every team member won Player of the Day this week, as it was just too hard for Mrs Oliver to choose one stand-out player. Congratulations to the Years 3/4 Wentworth Marlin Flippa Ball team for placing first in the local Flippa Ball competition. It is worth noting that this team had not lost a game all season (being the last two terms) and this was despite competing against much larger schools. Well done!! Also, congratulations to the Years 5/6 Wentworth Warriors Flippa Ball team, who also completed the last term undefeated, although they did draw their last game. This team is second overall. A great effort and well done to all the players. The Wentworth Comets have enjoyed yet another win in basketball, with Edison Zhang being awarded Player of the Day. The team is now enjoying their seventh win in a row and they are all very excited about the possibility of earning a spot in the finals. Hooray!! !